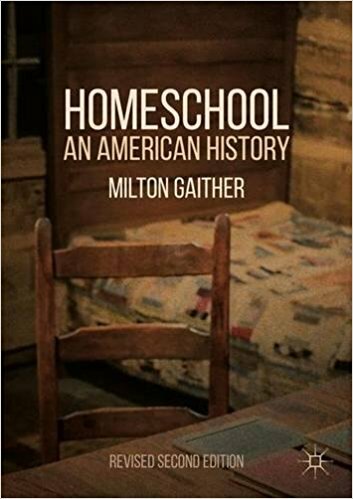 The problem is that many, many lower court decisions have validated compulsory education laws, which infringe on parental homeschooling freedoms, at lower levels of scrutiny (often called “rational basis” or “intermediate scrutiny”). Why? Because the same Supreme Court that declared parenting a fundamental right has also declared on many occasions that public school laws are valid forms of “reasonable relation.” The Supreme Court ITSELF has not applied strict scrutiny to compulsory school laws despite its own holding that parental rights are fundamental. Wang explains that part of the problem is that the key cases that are always cited on this topic, Meyer and Pierce, were both decided before the development of the Supreme Court’s levels of scrutiny jurisprudence. So it’s hard to read current distinctions between strict scrutiny and rational basis back into those decisions without introducing incoherence. So what should we do? Wang wants us to go with intermediate scrutiny for homeschooling laws, which means that all the state has to show is that their regulations further an important government interest, not that they are doing so in the least restrictive way possible. She goes on to qualify this by explaining that the state still must show that regulations are addressing “real threats” of a “particularized problem.” They must show that there is a demonstrable need for the regulation in question. For example, Wang says that a state law requiring homeschooling parents be certified teachers would have to demonstrate that parents who don’t have such certification are incapable of providing their children with a good education. She here gives a pretty shoddy survey of the literature on academic achievement. Though it could have been better footnoted and argued, she’s right that lack of certification does not correlate with poor academic achievement. Notice requirements, to use another example, ARE demonstrably helpful, allowing the State to keep tabs on the child, making sure he or she is healthy and safe. Finally, she wants states to be clear that they should be concerned with the results of education, not the process. Hence a test of competence would be a good regulation, while extensive curricular mandates would not. All of that was under the 14th Amendment. Now Wang shifts gears and looks, more briefly, at 1st Amendment jurisprudence. The First Amendment includes the “free exercise” of religion clause. Many homeschoolers argue that homeschooling regulations violate their right to freely exercise their religion. Wang describes how Employment v. Smith (1990) found that strict scrutiny is NOT required of state infringements on religious liberty (this was the one where the Supreme Court rejected Native Americans’ argument that the use of the hallucinogen Peyote, a banned drug, was part of their religion). Strict scrutiny can only be applied in “hybrid situations” when some OTHER right is violated along with first amendment rights. Wang goes on to explain that this hybrid rights thing has been much debated and has met with mixed reviews in lower courts. The term itself is so slippery that it’s been hard to determine when exactly a hybrid right exists. Nevertheless, Wang accepts here the hybrid rights theory and argues that when it exists homeschooling regulations should have to pass strict scrutiny. For example, a state mandate that homeschoolers must teach a specific set of religious doctrines (even if the intent was to maintain neutrality as to the merits of those doctrines) would need to pass strict scrutiny because it not only impedes the homeschooler’s free exercise but also runs afoul of the First Amendment’s establishment clause. Thus TWO principles are at stake, so strict scrutiny kicks in. Appraisal: This article was attempting not so much to argue for a specific set of views as to try to clarify the legal terrain, and at that it did an admirable job. It serves as a pretty good primer on the basic constitutional issues at play in homeschooling jurisprudence. Other legal scholars would take issue with some of her conclusions. More pro-homeschooling lawyers would like to see strict scrutiny applied to 14th Amendment issues. More pro-regulation lawyers would want to argue away the hybrid-rights doctrine altogether. I think Wang here has done a pretty good job of trying to read the tea leaves in as nonpartisan a way as possible on this difficult and contentious topic.